You may be wondering why this picture. I snapped this shot one morning as I was travelling a road that I rarely travel. It’s not the clearest photo (the camera on my cell phone is not the best) so let me explain what you’re seeing. 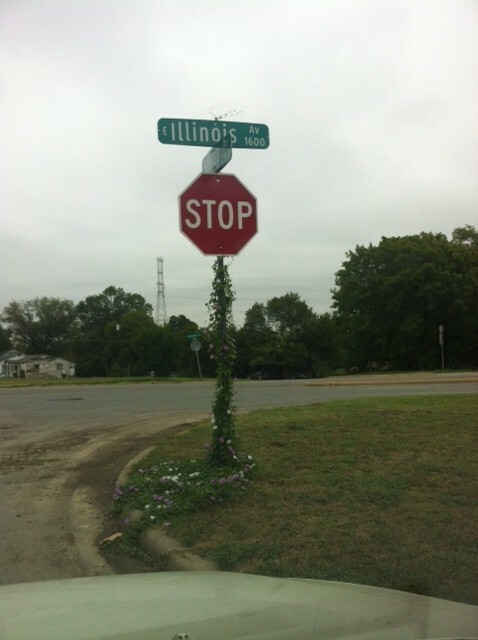 It’s a stop sign, obviously, with a vine growing up the pole. 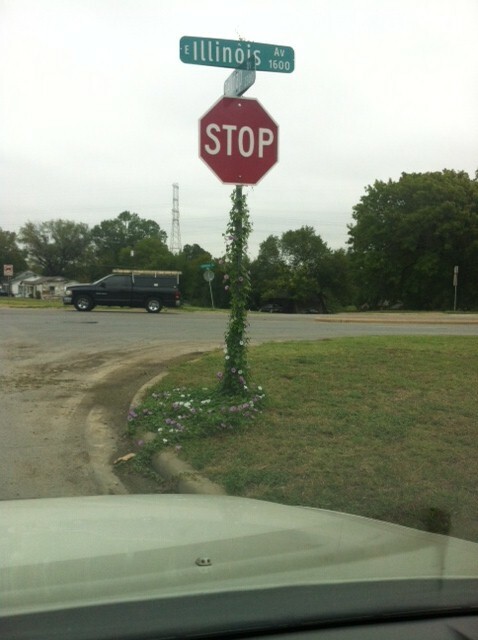 Vines are not supposed to grow up a stop sign pole. The vine is not supposed to be there. The vine is in unchartered territory. Which is where I am. Which is why this sight caused me to stop my car in the middle of a residential street and capture the sight permanently. I need a permanent, visual reminder that if a vine can flourish in unchartered territory, I can too. See, I knew way back in 1990 when I joined my first writer’s group and decided I wanted to be a published author that I did not EVER want to self-publish. I wanted the traditional route of finding an agent and landing a publishing deal with one of the major publishers in New York City. And guess what? I achieved all that (minus the agent; turns out I didn’t need one for romance). However, when phase two of my writing career kicked off in 2000 (I switched genres; hence, phase two), the industry was in such a state of change that I wondered if I could hang on to that want. But, I plowed ahead, and set my efforts on finding an agent and signing a contract with one of the big boys. But ten years and hundreds of rejections later, I revised my wish and said, “Okay, I still want to be traditionally published but I’ll be happy with a small, independent press.” Lo, and behold, in 2012, I got my wish. I signed a contract with a small publisher to be traditionally published. But, two months before the release of my book, Fuller’s Curse, I found myself having to do the very thing I said I never wanted to do—self publish. The small publisher I’d signed with closed shop and I found myself in unchartered territory. Like the vine. And like the vine, since I had already started up the pole by publicizing my release date and scheduling signings and appearances, I dug in and kept creeping ever upward, picking up and completing tasks I said I’d never do—coming up with a name for my publishing company, filing all the right DBA (doing business as) papers, revising the cover art, finding vendors for formatting and printing, securing ISBNs, and establishing accounts. The work of self publishing my ebook and print book continues and there are many days when I am overwhelmed (read: stressed) by all the production tasks that have to be accomplished as well as the tasks involved in marketing and selling. But it’s all good because had I not followed this unchartered path, I would have missed interacting with the supportive online writer/author/publisher forums that have provided me with resources. 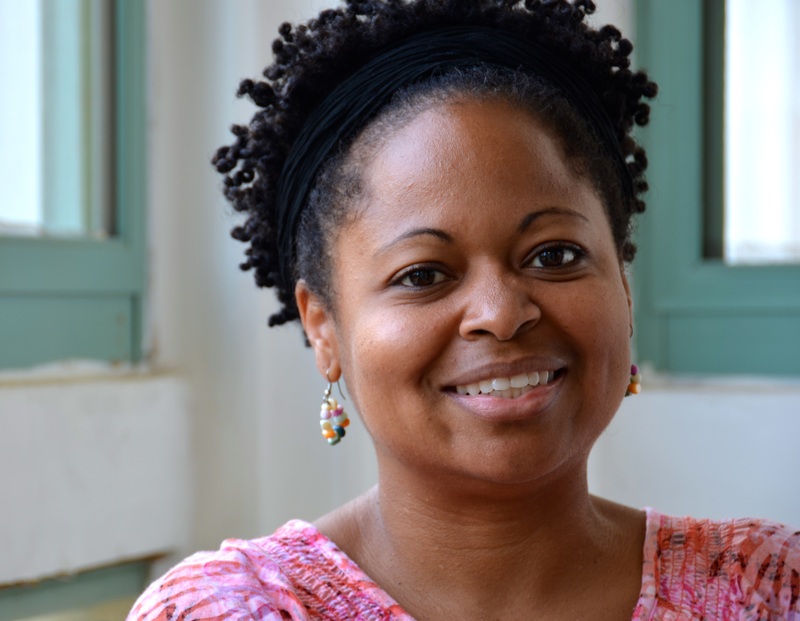 I would have skipped over friendly, talented writers who publish amazing and encouraging blog posts. I would have snubbed the whole world of social media (who would have ever thought me…a non-techie…would grow to love Twitter?). I would have forfeited everyday miracles and a feeling of accomplishment with each completed task. I would have stunted my growth in faith and truncated my skills. So many good, no, great things I would have missed had I not mimicked the vine and crept into unchartered territory. I haven’t been back down that residential street in a while but I like to think that if/when I do that the vine will have covered the word STOP. That makes me smile because what’s the opposite of STOP?